We’re all tempted at some point to just buy the cheapest tires we can get. Unlike some things, though, cheaper isn’t always better, especially when it comes to the tires that are carrying you safely on (and off) the road. This becomes an even bigger factor in off-road tires and wheels because they need to stand up to much tougher terrain than normal road tires. So how exactly do you know what to look for in off-road tires? Look no further than our handy guide. Let’s jump in. We’ve broken out the most important things to look for when you’re shopping around so that your next offroading trip is a complete success. We haven’t included things like tire size, as these measurements are specific to each vehicle. The first aspect isn’t even the tires, but the place you buy them. Tires are an interesting purchase because it’s not always possible to freely swap them out like you might a new shirt or a pair of shoes. However, it is possible to find shops that allow you to “try” your tires for a week or so before committing to a purchase. This can be great if you just want to see if offroad tires are for you, or if you just want to check out a brand you’ve heard about. Just like with your shoes, the type of tire you choose depends on where you’re using them (and what terrain). Most people don’t know that there are different types of tires for different driving environments. For example, if you’re planning on offroading in the desert, you probably won’t need mud- or snow-terrain tires. Depending on your trips, you might just want to spring for all-terrain tires. Make sure you consider your desired type of offroading when buying tires. Another thing to keep in mind when buying off-road tires and wheels is the overall construction of the tire. On off-road tires, you’ll see the term “ply” used a lot to describe a tire’s construction. For instance, radial ply tires are great for using on the highway because they provide a smoother ride, while bias ply tires are great for rough roads or bumpy offroad terrain. 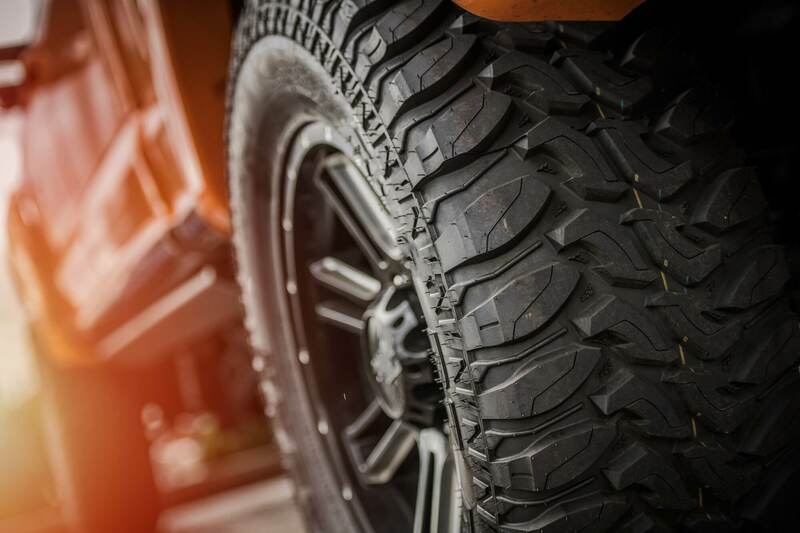 Just like you would with tire brands, research the construction of your off-road tires and wheels. As always, you don’t want to break the bank on your new tires. However, you also don’t want to get the cheapest possible option, as a cheap tire going flat will for sure ruin your offroading trip. It’s good to calculate these fees in your overall tire budget. Now that you know what to look for, head on over to our shop to check out some great off-road tires and wheels. Questions and concerns? Feel free to contact us if you need help picking out a great new set of tires. This entry was posted in Off-Road by sadmin. Bookmark the permalink.